Hey everyone! I hope this post finds you all well and excited that the weekend is almost here! Whoop whoop! I am going to start dedicating Friday’s blogs to topics on fashion, beauty or health products and gadgets. To start this off I am going to list the top five basic clothing items I believe every women needs this summer season. These items are great because it doesn’t matter what size or age you are, they work for everyone. White jeans – Whether they are straight or wide legged, there are many ways to wear them in the summer months. I tend to lean toward the nautical style of dressing with my white jeans but I know that’s not for everyone. They also look great with black tops and shoes. This time of year I normally go with open toe type shoes with them or heels in the evening. Even try throwing on a blue jean jacket with them on those cooler nights. Chinos – These shorts do tend to trend on the preppy side but I also think that is all in how you pair them with the rest of your outfit choices. Either way you choose, I personally feel you will have a look that is “put together”. Wear them with a t-shirt and flip flops, add a few gold tone jewelry pieces or pearls and there you go “put together” with little effort. These shorts look just as put together with a summery blouse and wedge sandals. 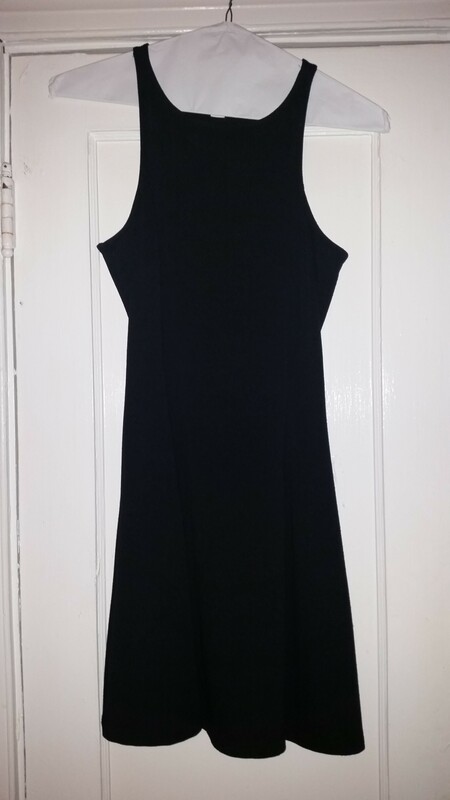 A simple sun dress – Sun dresses are typically considered a sleeveless dress made of breathable light fabric. That being said, there are a multitude of types and designs in this area. I suggest start with one that suits your style. Make sure you try it on before buying, that way you know for sure that it fits right, and feels light and comfortable. The point to this dress is that you can wear it anytime in the summer, whether you are running errands with the kids or going out to dinner with your significant other. Something floral – It just so happens that floral is in this year but besides that, it’s also a classic feminine piece that can be worn for years to come. I wouldn’t suggest wearing head to toe floral print but one piece of your outfit with the rest being more subtle is a beautiful look. 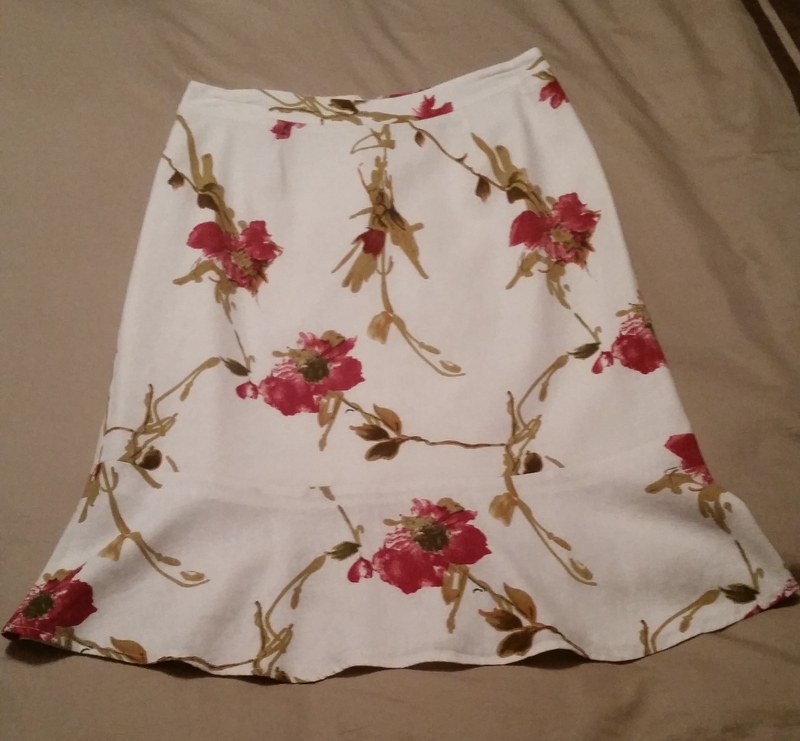 The picture below is a floral print skirt I found thrifting the other week. I love that I can wear something as simple as a solid color V-neck t-shirt, a tucked in button-up or a boat neck top with it. I’d love to hear from you all! Tell me some of your go to summer pieces and how you wear them. Feel free to add pics too. I hope you enjoyed this first of many Fashion Friday posts. Look forward to hearing from you all!